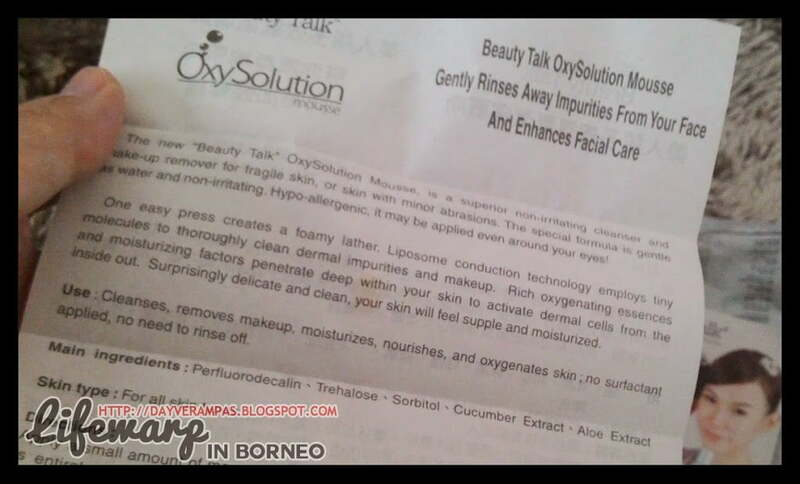 I received my Beauty Talk OxySolution Mousse Cleanser just a few days ago. *Excited* Thank you so much for the wonderful gift, Beauty Talk. I’m sure most of you have read some reviews about this product from some pretty bloggers out there. Most of them are giving positive reviews. I must say that this is my first time using a ‘foam-like’ cleanser, and I admit that I felt a bit weird when using it. The new “Beauty Talk” OxySolution Mousse, is a superior non-irritating cleanser and make-up remover for fragile skin, or skin with minor abrasions. The special formula is gentle as water and non-irritating. Hypo-allergenic, it may be applied even around your eyes! One easy press creates a foamy lather. Liposome conduction technology employs tiny molecules to thoroughly clean dermal impurities and makeup. Rich oxygenating essences and moisturizing factors penetrate deep within your skin to activate dermal cells from the inside out. Surprisingly delicate and clean, your skin will feel supple and moisturized. The mousse gentle remove the dead skin, refine pores size, regulate, nourish and rebuild the skin with oxygen. It works as a gentle cleanser and non-waterproof make up remover. A hypoxia and unhealthy dead skin will not only decrease the effectiveness of absorption to a skin care, but also cause acne issue. Total new formulation Oxysolution Mousse with exclusive formulation OxyPercalin® will help to gentle remove the dead skin and rebuild the healthy skin with oxygen. The special formula is gentle as water and superior non-irritating oxygen mousse, it may be applied even around your eyes! Designed especially for sensitive skin type, the innovative feature of this product is its mousse-like texture, albeit it being a toner. One easy press creates a foamy mousse also works as a thorough cleanser and non-waterproof make up remover. Jojoba Seed Oil (Simmondsia Chinensis Seed Oil) : Acts as a moisturizer and emollient agent to improve the skin elasticity and suppleness, containing natural tocopherols to minimize oxidation. Apply desired amount of Oxysolution Mousse to cotton pad and removed the makeup, repeat this application until impurities is entirely removed (cotton pad is totally clean without any impurities shown). Rinsing with water is required. Apply appropriate amount Oxysolution Mousse to cotton pad and gently wipe the entire skin surface to remove the dead or unhealthy skin. Rinsing with water is optional. For heavy makeup user may use Oxysolution Mousse as a second cleanser to clean up the impurities, it may used to prevent breakouts, blackheads, clogged pores and keep the skin hydrated. 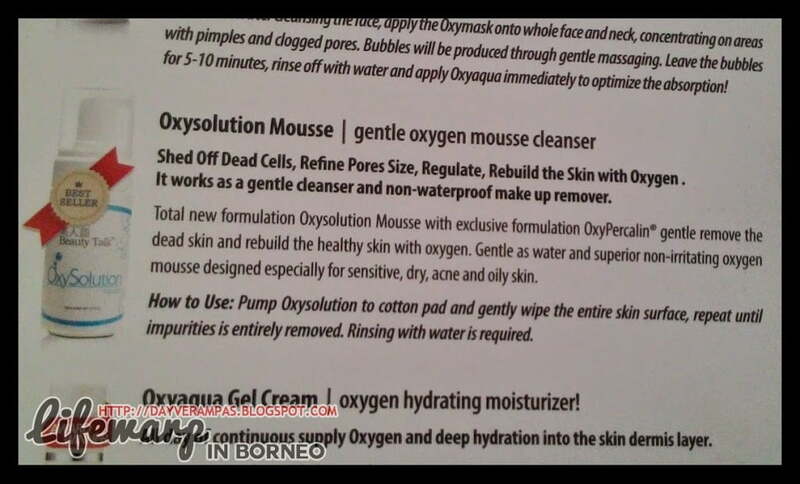 Is Oxysolution Mousse a cleanser or a toner? Both. Many of us neglect to recognize the fact that majority of cleansing gel and cream in the market aren’t able to effectively rid skin of impurities. For this reason, Beauty Talk has created this multi-functional mousse boosted with sorbitol which thoroughly cleanses and dissolves oiliness, non-waterproof makeup and environmental grime to prep the skin for better absorption of treatment products. The bubbles, created by the dispensing pump, minimize the molecular size of the concentrated properties of the product, allowing it to penetrate deep within the skin to remove oil, impurities and environmental grime. This, in turn, improves the skin’s ability to absorb other treatment products. Saturate cotton pad with Oxysolution Mousse and wipe the entire skin surface. Rinsing is optional. Is Oxysolution Mousse suitable for sensitive skin? Contains 100% no surfactant, this superb yet simple blend is suitable for all skin types including sensitive and dry skin. It leaves skin cleansed and nourished without the feeling of dryness, tautness or the need of additional cleansing products. As I mentioned earlier, this is my first time using a mousse cleanser and I did feel a bit weird as I didn’t feel ‘as clean as’ using the usual foam cleanser. Anyway, I decided to give it a try and started to use it for few days. I usually use SASA make-up remover to wipe away all make-up residues before using this mousse. I’ve decided not to use the mousse straight on my face to remove the make-up residue as I read a few bloggers stating that it doesn’t remove all residues especially eyeliner, and mascara. It doesn’t leave my face with tight feeling, or dryness. It leaves my skin moist (I love that ‘watery’ feeling). It doesn’t give me any breakouts. I would stop using it at once if it gives me a breakout! It doesn’t remove your make-up 100% especially non-waterproof eyeliner, and mascara. 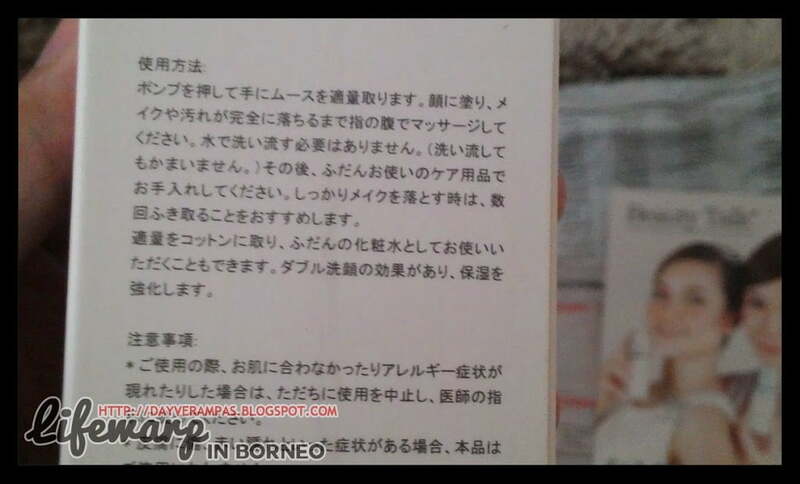 You still need to use toner though this product claims that it has that ‘toner’ function. 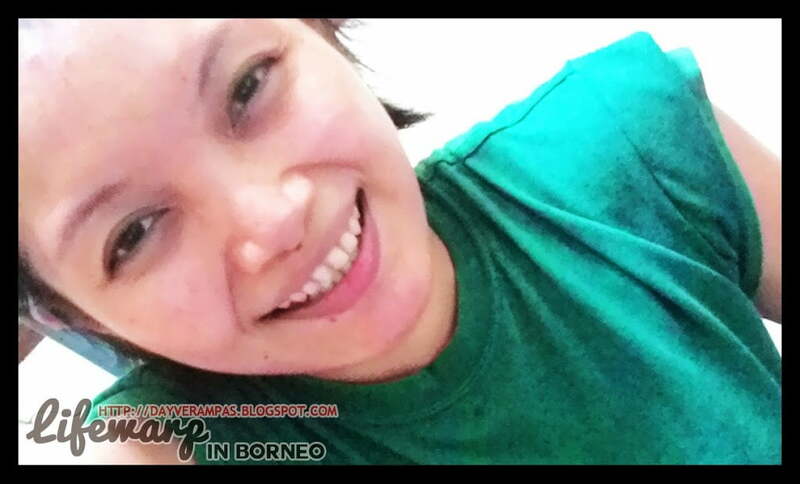 I cannot live without applying toner! Beauty Talk Oxy Solution Mousse Cleanser is suitable for sensitive skin, and it doesn’t leave your skin with that tight feeling. It can be a great cleanser but not as good as your make-up remover. Since I’m not a person who would waste my cotton pads, I’d recommend you to remove your make-up residue using your make-up remover first before applying this cleanser.